The box art looks impressive, congrats Ghe Nation! After playing with it for a few days I’ve decided that, unlike with an emulation machine, the focus of this review need not lean too heavily on the software side. 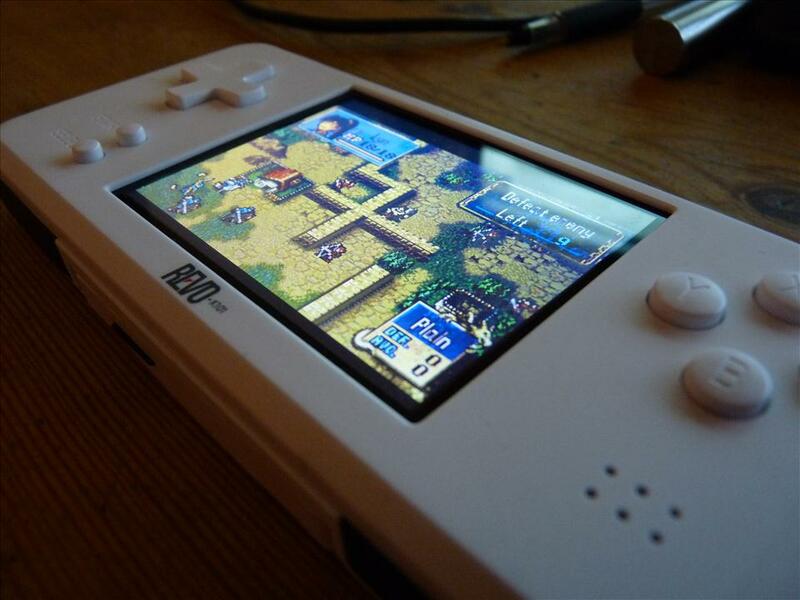 After all, this is a hardware clone and 99% of GBA games should play perfectly on it. Those that don’t work should really only be those that contain special hardware inside the cartridges, of which I believe there to be about five. I have not played anywhere near every single GBA game available on my Revo, but those that I have played have been perfect with the exception of one (which I will cover later). If there is a particular game you’d like me to test, just ask, and if I need to play from a certain point in the game then please also supply a save file. So let’s have a look at hardware. I’ve always felt that Nintendo never quite got the GBA right. There’s certainly nothing wrong with the software library, some might say it has some of the best games ever released for any console, but with each hardware revision there always seemed to be something that detracted from the enjoyment. 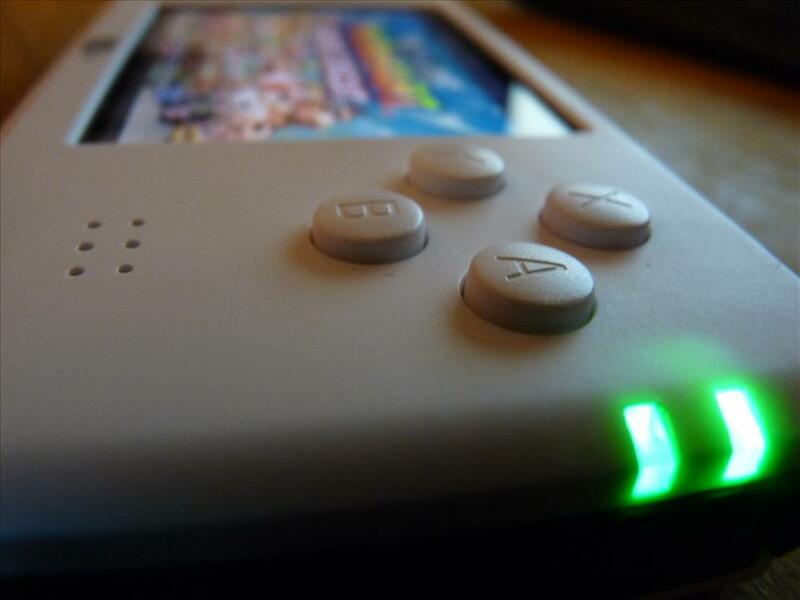 The original Game Boy Advance lacked any kind of a light on the screen, a decision that seems absurd today. The GBA SP rectified that but sacrificed the nice ergonomics of the original, and whilst the Micro looked cute as a button both were pretty uncomfortable for adult-ish sized hands. The DS was better in both areas but was ultimately designed with a different era of games in mind, leaving an unnecessary 2nd screen and a choice of poor image scaling or an image that didn’t occupy the whole screen. ROMs are run direct from the K-Card. 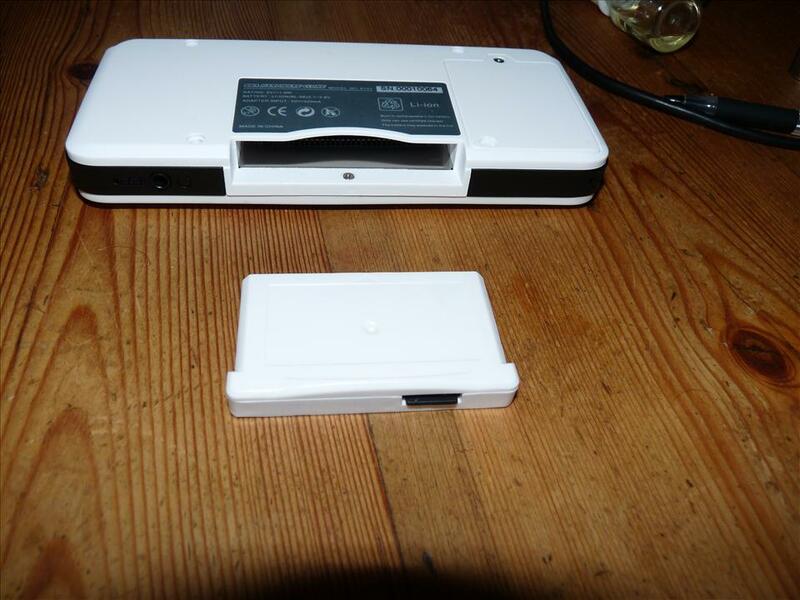 It’s a standard GBA cartridge shape with a cut out for a Micro SD card. 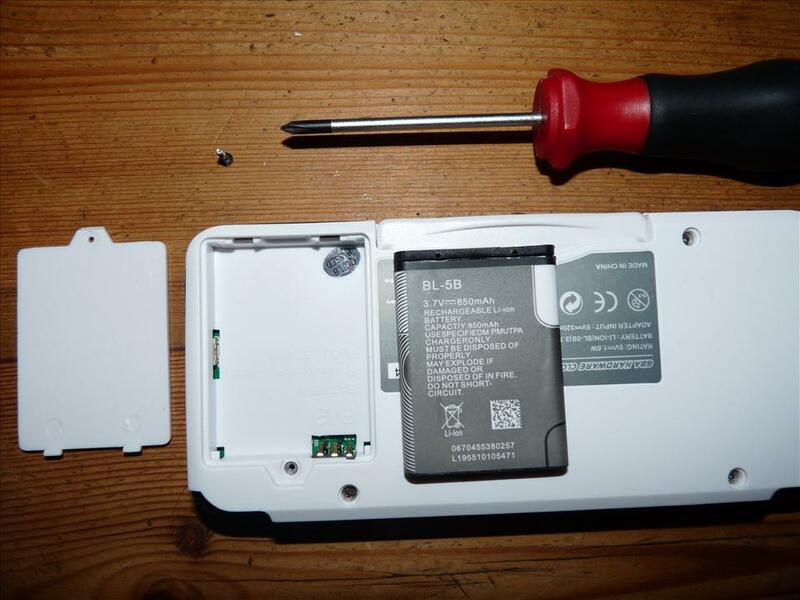 Getting started is as easy as dumping your ROMs onto the card and switching the device on. Nice. Although it looks decidedly homemade, it functions very well. It’s divided by 3 tabs across the top for your games list, options and help. You can cycle through these with XY or the shoulder buttons. Nothing more to say here really. It’s fast and responsive, but looks kinda homebrew-ish. The d-pad is unusual in that when it’s pushed in each extreme direction, the lowest edge sits almost flush to the casing, as it has a very shallow pivot. At first it was a little odd but I got used to it quickly and now find it comfortable and accurate, if a little mushy. Most people would prefer a deeper pivot I think, but it’s in a completely different league to the 4 separate buttons found on most Yinlips and JXD handhelds. 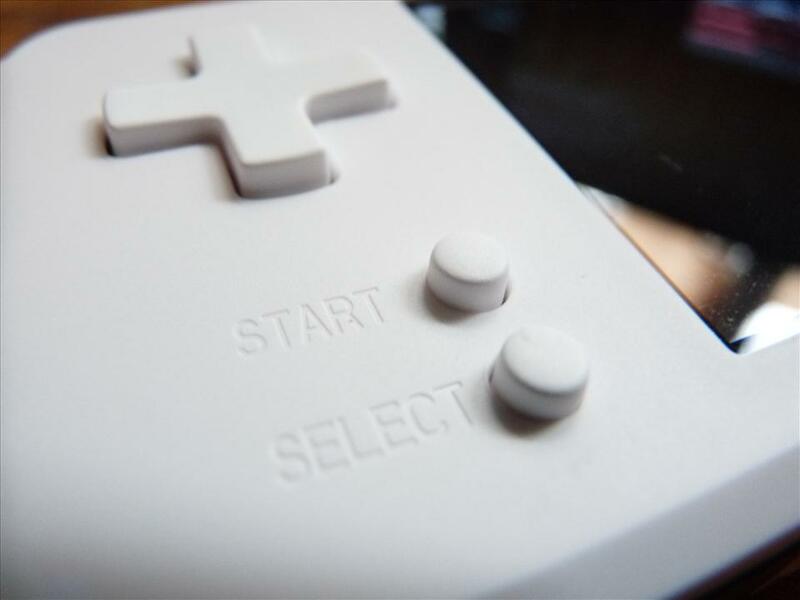 The start and select buttons are kept in the same place as the GBA v1 but are hard plastic instead of rubber. Over on the left where you’d expect to find the B and A buttons, you instead find the B, A, X and Y buttons. The XY buttons do nothing in game, and in the menu they do the same as the shoulder buttons (skip tabs across the top). It would have been better to blank off XY and make AB slightly bigger, and maybe even change the angle from 45° to 70° too if aesthetic accuracy was the aim. Having said that, the buttons feel fine and the presence of XY is soon forgotten once you’re playing. 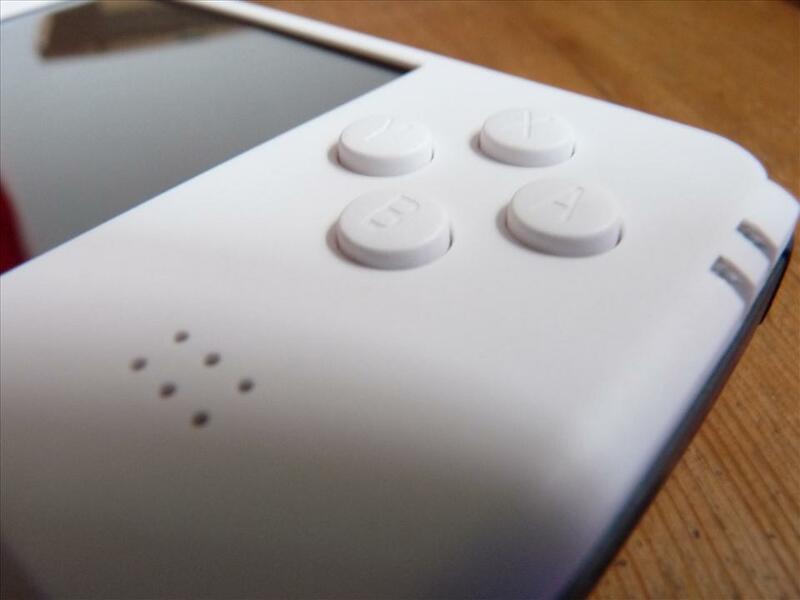 The shoulder buttons feel wobbly, but they have a precise and soft click to them and register every time with little effort. The resolution that’s being touted is 960×480, but I don’t think that can be correct as it would make a very wide screen. It’s certainly high resolution but I’d hazard a guess at 800×600 or thereabouts. In game the image is smoother than on the usual 320×240 LCDs found in the K1 and other emulator clones – but 240×160 would have been better. Unfortunately the price of those low res screens these days is too high due to little demand, so a compromise had to be made – and I think they went the right way with the higher resolution. The colours are rich and bright, and it’s a pleasure to stare at. I have one white pixel on my screen which is visible in the static menus, but I’ve never noticed it in a moving game – the pixel really is tiny. Unfortunately, like on the Gemei A330, the LCD doesn’t look like it’s protected. There is a thin layer of plastic covering the front, but it wouldn’t be sufficient to prevent a bit of a knock potentially doing some serious damage to it. The entire handheld is finished in a very finely textured matte plastic much like that of the GBA v1, and it feels wonderful for it. There is something about matte plastics that just feel so much higher quality than the shiny stuff and it instantly looks like a more premium device. The unit feels very solid and doesn’t creak or flex when gripped. You can tell that Max Zhou put a lot of thought into the way this thing should look and feel. 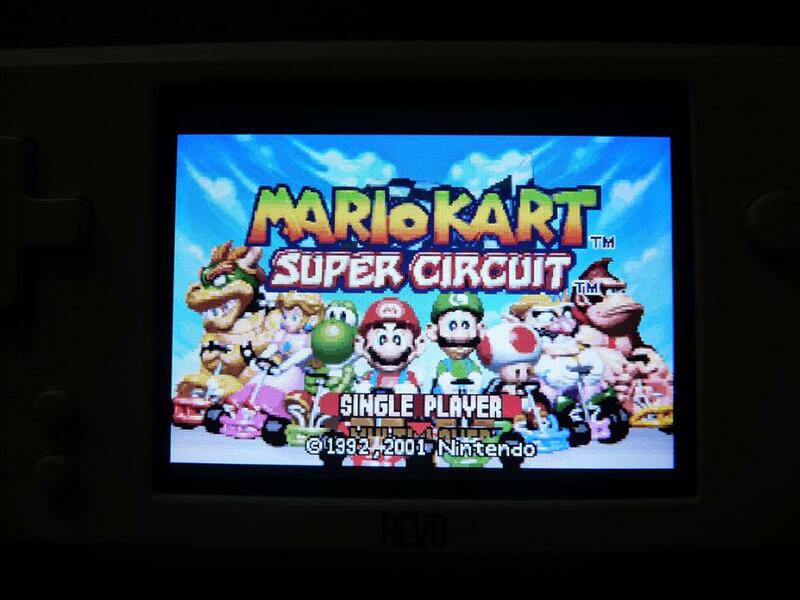 Firstly, yes, the Revo can link up with all official Nintendo GBA variants and also to other Revo and K1 units, using a genuine or 3rd party link cable. It functions just as a real GBA would do. 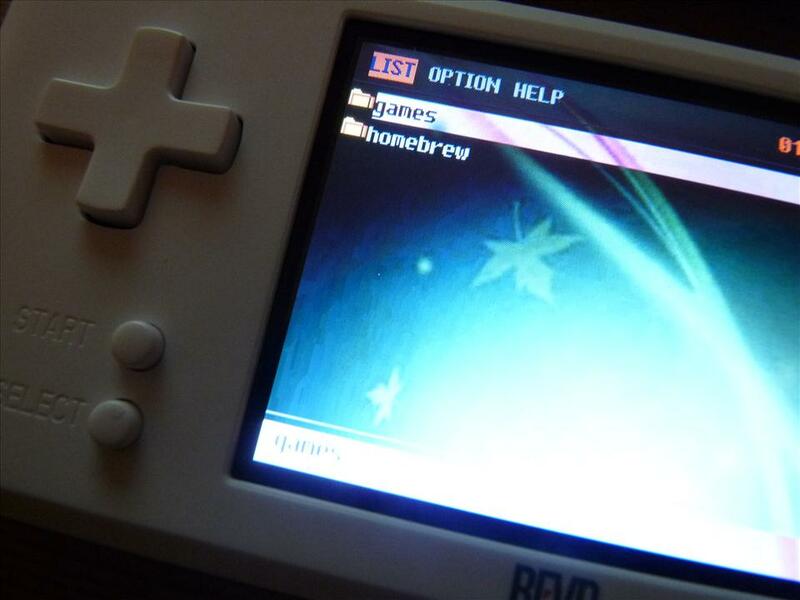 The Revo seems to support pretty much all GBA homebrew that I’ve tried to run on it, which is testament to the good reverse engineering job the K-Team first did on this hardware. It does however only contain the GBA hardware, so you cannot play GB and GBC games natively. There are some emulators built in but the results are mixed, if you want to emulate those systems you’re better off with a dedicated and more powerful emulator handheld instead. The unit comes bundled with a Composite video output cable so that you can play on the big screen. The result is blurry as you would expect from such a low resolution image, but it does the job fairly well. You charge the device from the Mini USB port and can stick your headphones into the 3.5mm socket at the bottom. The brightness button is on the top, which can perform various actions in game when used in conjunction with the face buttons. For example, you can squish the image from a 4:3 ratio to 3:2, which fixes the vertically stretched image you usually get on clones. 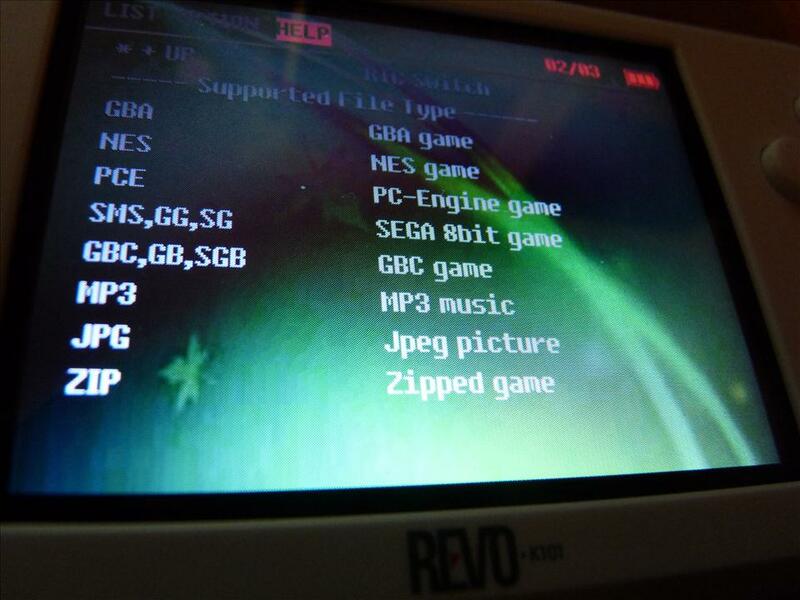 You can also quit back to menu, write your save file to SD and various other things as the below image shows. These Are The In Game Commands. * Is the Brightness Button. Unlike the K1 the unit does have an RTC, meaning all of your Pokemon games will play properly and you’ll be able to capture all those little buggers that only come out at night! 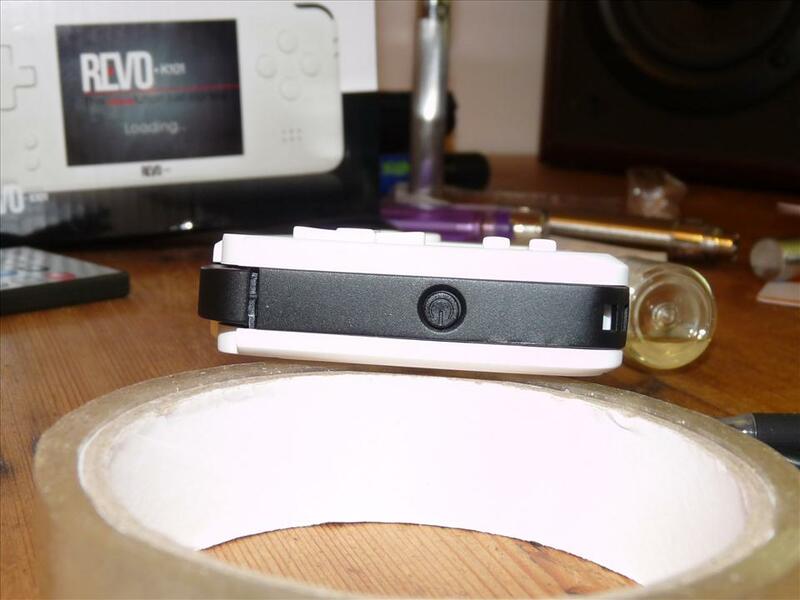 The mono speaker is located on the right hand side underneath ABXY, in a similar configuration to the GBA v1. 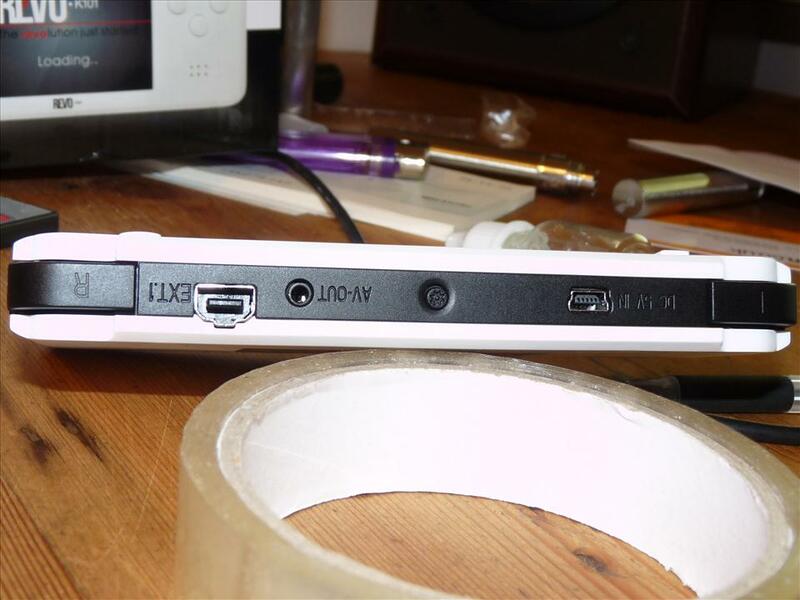 It sounds no worse than the Nintendo speaker, but it’s nothing special. 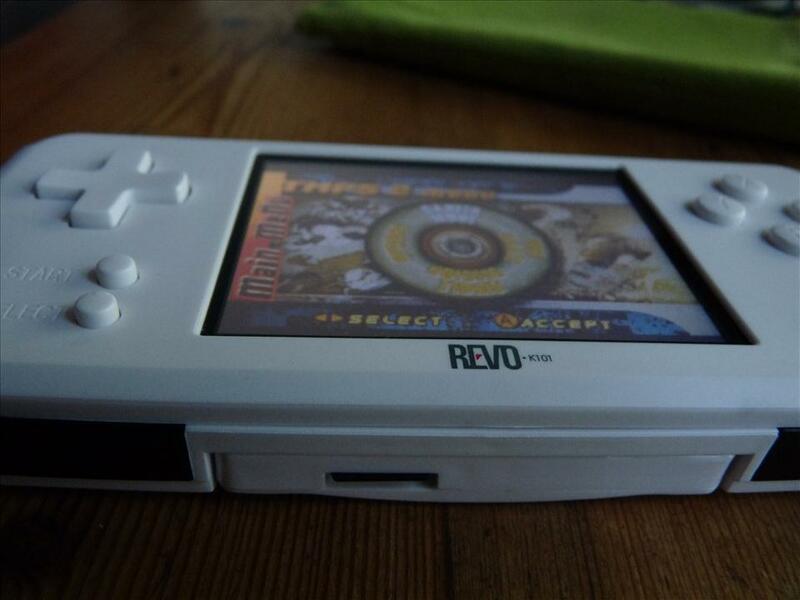 The Revo is powered by an 850mAh Li-Ion battery. It’s actually a clone of the Nokia BL-5B which is handy because replacements are easy to get hold of if you want to carry a spare, but you’ll need a screwdriver to get it out. The included battery provides about 4 to 5 hours of play time, which is not bad at all. At the start of the review I mentioned one problematic game that I’d encountered, and that is Tony Hawks Pro Skater 2. It took me a while to realise that the game is actually running at around 95% speed. 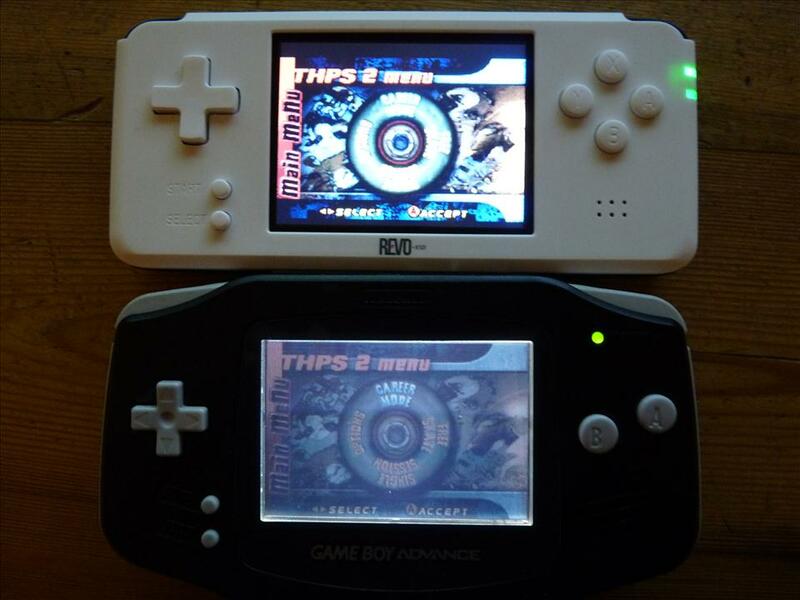 I’ve filmed a little demo below comparing the real cartridge on the real GBA to the Revo. You’ll notice that over time they fall out of sync. Perhaps this is testament to the incredible difficulty of fully reverse engineering closed hardware to 100% accuracy, or maybe it’s something that can be fixed with a firmware update in future. We’ll have to wait and see. It’s unfortunate that I have to pick fault with what is a very impressive engineering feat, but it has to be said that the Revo is not perfect. It excels in many areas that the original does not, but it lacks in others too. It combines the best of the GBA v1 and the GBA SP by taking a comfortable and aesthetically pleasing shape and pairing it with a bright and colourful display. If only the slight compatibility quirks and other niggles were ironed out it would be, by far, the best variation of the hardware yet. As it is though, there are a few glaring errors that detract from perfection. All in all it’s an improvement in most areas, and if you’re a GBA enthusiast then for $60 (~£40) it’s a hard bargain to refuse. Despite its flaws, nine times out of ten I will reach for this over a GBA v1 or SP when I want to get my game on. If you’re interested in grabbing one of these then just head over to www.k1gbasp.com. Thanks for the nice review. I recently bought a SP AGS 101 because of the backlight. However, the screen shows quite a bit of ghosting (blurry refresh of screen), which is especially visible in games with crisp black lines. In your experience, does the Revo have this same problem? Does the K-Card function as a flash cart for the GBA much like the EZ Flash cart? It would be interesting to find out. So does this thing also work with the gamecube link cable? 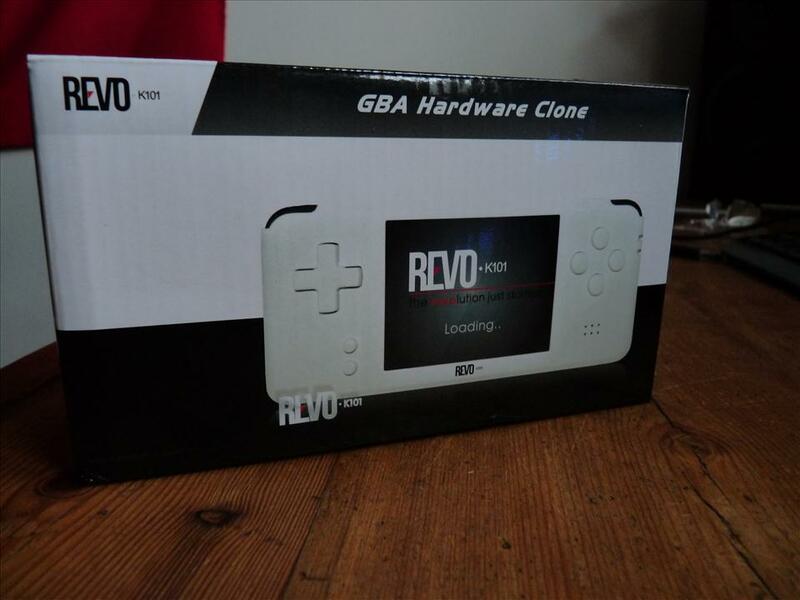 In Your Opinion What is Better The k1GBA or The Revo? 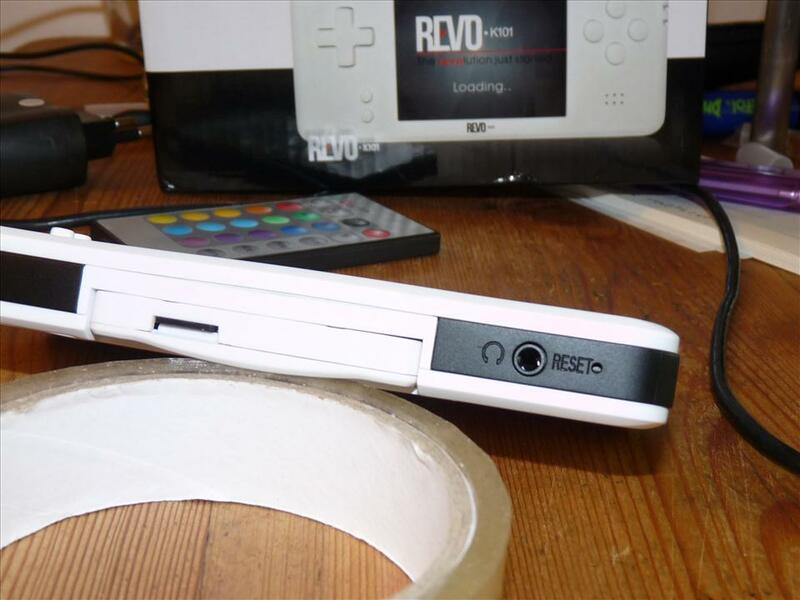 The Revo is my preference for more ergonomic design, better screen (way higher resolution), RTS and headphone output. Thanks for the review! Found it on Neogaf. This is a bit far-fetched but does it work with the Gamecube? Would be great as a GB Player controller, though I doubt this is possible. Is it me or is the pixels on the screen criss-cross? They aren’t horizontal or vertical. I’ll wait till they release one with a larger screen. Is 480x 320 that uncommon? It was used for the first three gen Iphones. Hey obscure, didn’t the DS show GBA games at 1:1? It never scaled so I don’t know what your talking about. 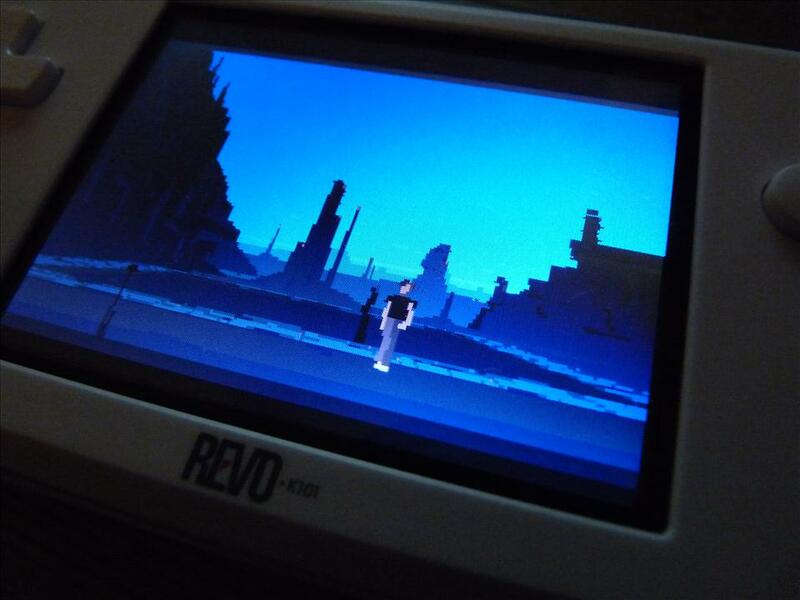 the DS allowed either 1:1 (small image) or stretched (full screen). Edit: Actually, that could have been with GB games. 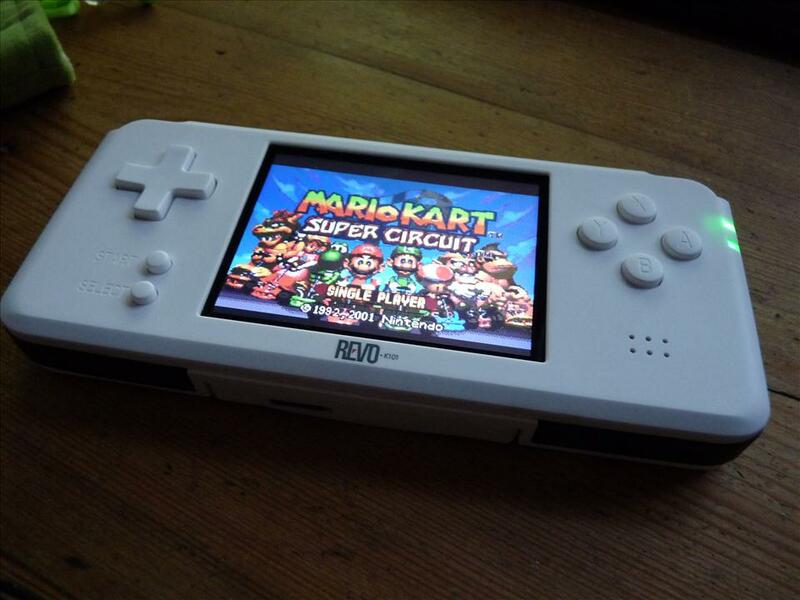 Maybe GBA only allowed for the small 1:1 image. Either way, it was far from ideal. 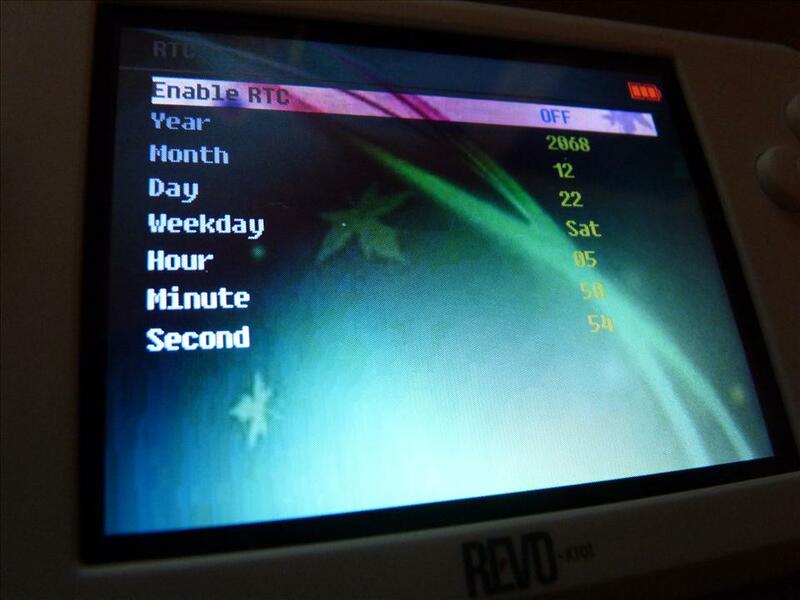 As for the display on the Revo, I believe it’s what they call a pentile display. Each pixel is surrounded by 5 others. It doesn’t look perfect in menus (though with such a high resolution it’s hard to tell anyway) but for games not played in their original resolution it helps to smooth out the edges. Good review — thanks! I’m also enjoying mine, though apparently I’m less enthusiastic about the matte paint job than you are ;). I like matte, but on my unit the paint job seemed uneven in some parts, with little splotches here and there — it reminds me of something that was spray painted or the model kits that I used to do (maybe it’s just my unit though). Also, my unit came with an air bubble on the display that was easily fixed using scotch tape (however, the air bubble comes back once in awhile). It is air bubble between those two screen inside the device. It is easy to remove it. Just pull the screen protector slowly to the position and the air bubble will gone. In fact, you will not see it while playing games. It looks good, but without that gb/gbc support I’ll have to pass again. I never owned a GB or GBC, so it’s not really a high priority for me. I agree it would make the machine more faithful to the original though. 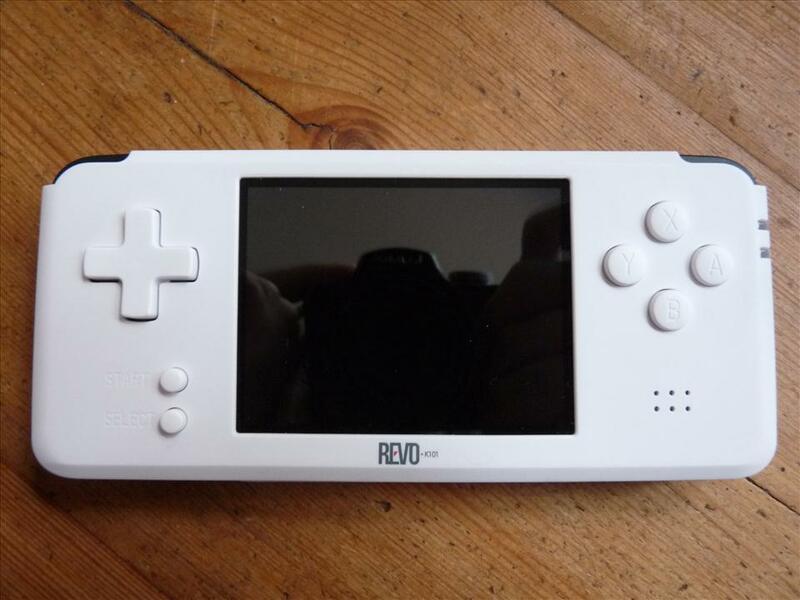 I love the concept of this device, I don’t like emulation though. 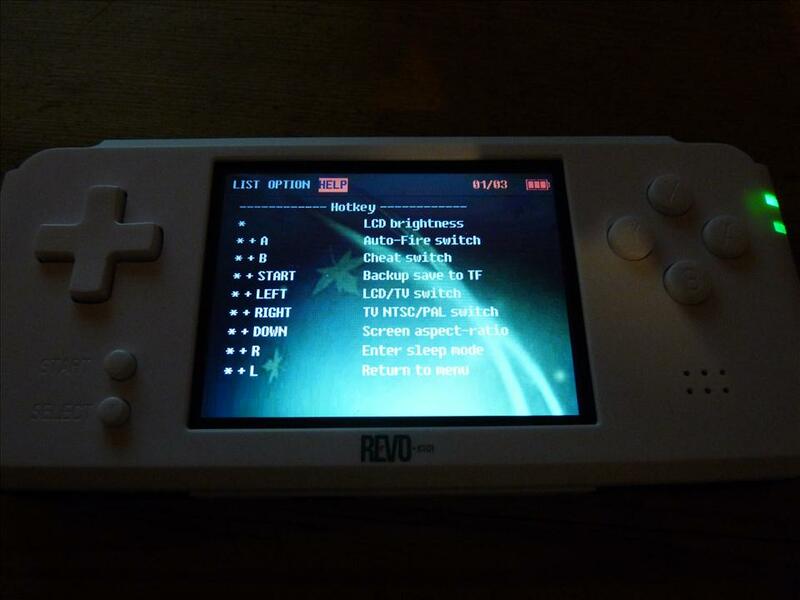 I’d only use emulation for custom roms and homebrews. I don’t have a massive collection of GB or GBC games like I do GBA, but it would still be really nice. Do you have any idea if it’s just not possible, or if he’s held off for other reasons? Yeah, that’s very understandable. I’m optimistic about one in the future though. With the GBA work almost flawless it could be a very logical next step if the k series is kept up. I have one and it’s a really good clone – it has a nice backlit screen and as far as I can tell compatibility is 100%, even with weird unlicensed stuff. There are one or two minor problems but overall I really like it. Maybe the K team could partner with this company somehow to add GBC support to their hardware? No point reinventing the wheel.. or re-cloning it. Where, pray tell, would I aquire one of these? The link you gave is redirecting to an unrelated site. @guy – oh that’s weird, it worked fine yesterday. Not sure what happened there. They pop up on Taobao from time to time – I can’t find a listing at the moment though. I’m actually not sure if they’re still in production or if the sellers that had them were just clearing out old stock. Yeah Taobao was the first place I headed for. Couldn’t find anything either. Guess I gotta keep an eye out. Thanks anyway. 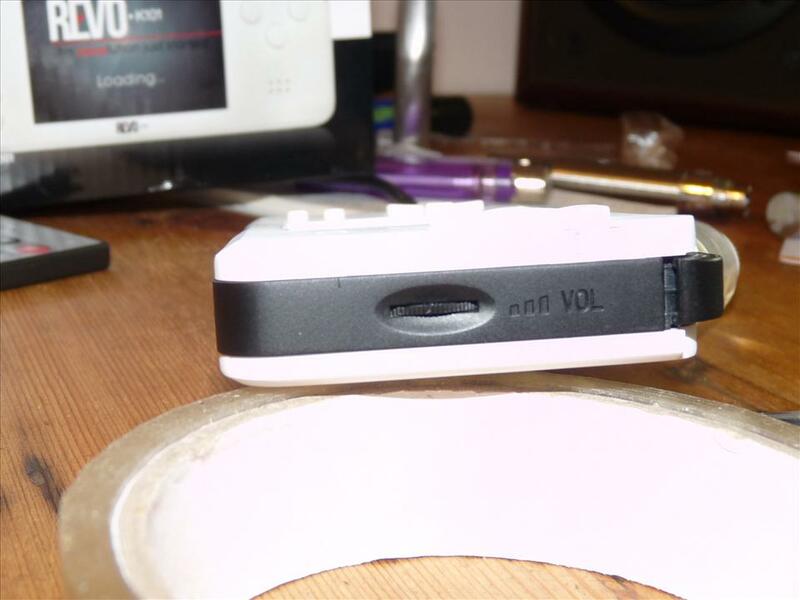 Do you have a link cable to check a game between your modified GBA and and the K101 ? I do somewhere. It does work between a K1 and a real GBA, and I am certain that it also works between the K101 and a real GBA. I’ll test it in the coming days though, just for peace of mind.